Another amazing exclusive offer for BetAndSkill readers from Ladbrokes Casino! Join via our special links and firstly you get NO DEPOSIT REQUIRED £10 WELCOME BONUS for Big Banker slots! What are you waiting for? We suggest you to visit BGO Casino, one of the top no wagering casinos, offering all BetAndSkill readers 10 no wagering & no deposit free spins with no capped winnings. You can play your free spins on 4 video slots: Starburst,Aloha Cluster Pays, Finn and the Swirly Spin and The Legend of Shangri-La. Ladbrokes is one of the most recognisable and trusted names in the UK for betting, with a remarkable history which stretches back to the 19th century. Players will find that this online casino is fully stocked with a range of slot machines from PlayTech software suppliers. Ladbrokes occasionally offers a no deposit bonus in which a new customers only needs to register an account. Making a deposit is not necessary or required to receive the free benefit, chich is intended to allow new customers to try out the real money games with no risk! 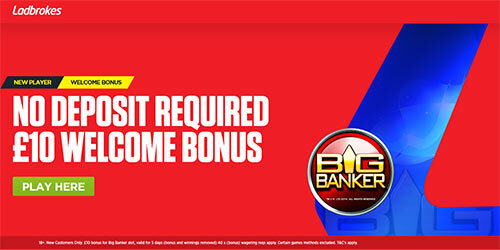 We're talking about the £10 No Deposit WELCOME BONUS for Big Banker slots! £10 No Deposit Bonus on Sign Up! Play Big Banker slot for free! 18+. New Customers Only. £10 bonus for Big Banker slot, valid for 5 days (bonus and winnings removed) 40 x (bonus) wagering reqs apply. Certain games methods excluded. T&C's apply. The Wagering Requirements for this Casino Bonus must be met within five (5) days following the date on which your Casino Bonus becomes Active otherwise any funds sitting in your Bonus Balance wallet and/or Pending Winnings wallet will be forfeited. 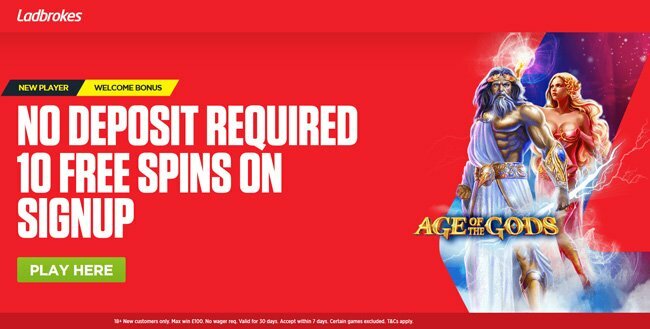 This Casino Bonus is available to new customers aged over 18 years who have not previously registered or opened an account with Ladbrokes. 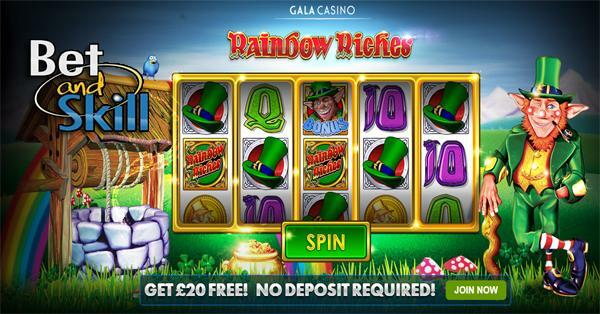 - Which games are excluded from the £10 NDB BONUS? This Casino Bonus is only available for use on Big Banker slot. It is not available for any Poker, Live Casino or Bingo products. Can I Claim More No Deposit Bonuses? Of course you can! BetAndSkill is the website offering more completely free offers on the Internet! 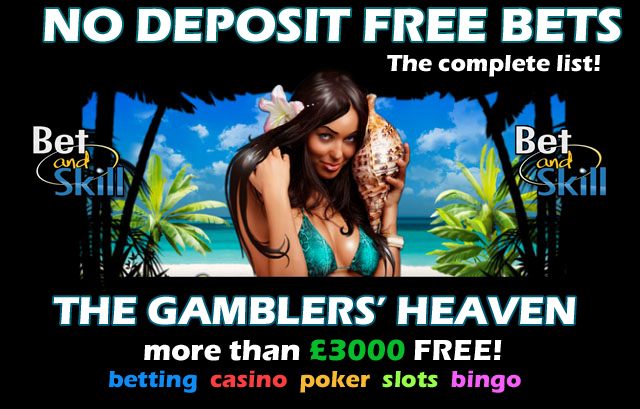 Just check our great no deposit bonuses page and start gambling online with no risks attached! What are you waiting for? "Ladbrokes Casino No Deposit Bonus: £10 Free On Big Banker Slot"